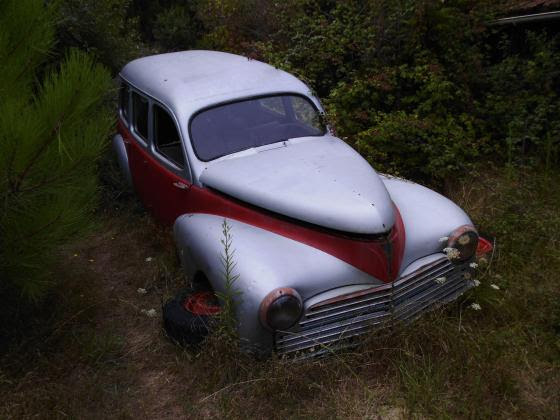 It looked like a 1938 Ford Sedan, but the lavender paint on the body shone in its own light, and the headlights were black. The radio message from Josiah Covington said her ticket back to his world would be in the poppy field south of town. He’d been definite that she shouldn’t use the dirigible this time. Keisha Davis expected the car to be rusty and full of holes, but the door swung open easily, and everything looked brand new. She’d gotten her license just after her sixteenth birthday, but she didn’t think it covered this dieselpunk contraption. He was right. Her friends were in desperate trouble, and she was the only person in two worlds who could help. Turning the keys in the ignition, Keisha mashed down on the starter and then vanished! I wrote this for the Flash Fiction for the Purposeful Practitioner challenge for May 9th. The idea is to use the image above as the inspiration for crafting a piece of flash fiction no more than 200 words long. My word count is 200 words. Hopefully, you all have been following the steampunk adventures of fifteen-year-old Keisha Davis in this series. Seeing the prompt, I decided to tip my hand a bit, since I’m actually envisioning the character appearing in a trilogy. While the current storyline occurs in a steampunk universe, I want the sequel to feature to be somewhat in the alternate reality’s future, depicting a dieselpunk environment. This would be the beginning of that second saga. Oh, Roger’s linkup still needs lots of love, so it would be great if you jumped in and contributed a story. Thanks. The idea of a type of time-travel or world-to-world vehicle…. That would be a ride I would enjoy! I could see her turning the knob on the old radio to tune it! Well done! Enjoyed! Thanks. If you haven’t done so already, catch up on Keisha’s adventures in “steamworld” starting HERE.